The night of June 3, 2005 was hot, humid, and dry. The drought conditions in deep East Texas had continued unabated all year. Both man and beast were in search of cool air and wet water. As deputies for the Shelby County, Texas Sheriff Department, my partner and I patroled the county, checking the security of businesses, churches, residences, and schools. On this particular night, we were driving through Blair, a community on the far western side of Shelby County. We pulled into the parking lot of a small Baptist church located right off the Farm-to-Market highway. As we drove up to the church, suddenly an animal ran from under the church into the trees beyond. Although we had gotten only a fast look, we identified the animal as a female fox. She gave a glance back at her intruders as she disappeared into the pine trees behind the church. Larry and I mused that the fox was probably hot and was using the church crawl space to rest and cool off. Then, suddenly, a young fox peered at us from the church crawl space opening. He seemed not to be very afraid of us as he ventured outside the entrance and stared at us. The little fox probably was hot, hungry, and thirsty. Larry had brought along a sandwich to eat later on during our shift. He eased out of the patrol car, opened the back door, and got half of his sandwich. He moved toward the small fox, talking to him gently. The fox retreated back into the safety of the church while Larry placed the sandwich on the ground at the entrance. Then Larry found an old bowl, and filled it with water from a nearby water hose, and set it beside the sandwich. After retreating to our patrol car, we sat and watched as the young fox came out of hiding, gulped down the food, and lapped up the water, ignoring his audience only a few feet away. Then he just stood there watching us intently long enough for us to take several pictures of him. I left a note on the front door of the church advising them that they had a family of foxes living under their church. Each time we were in the Blair community, be would stop and check on our fox family. We saw the mother a few more times, and the young fox began to run from us. His mother probably gave him some lessons about the dangers of humans and how to avoid them. Eventually, they were both gone, but they served as an interesting break for us while on patrol. A church member jested that the two fox were baptized, and were never seen at church again. Seems I have heard that before. Have you ever hear someone say about a person, “He’s as stubborn as a mule?” Or perhaps even you have been called “mule headed” by others. I think we all know what the meaning of the word is, but are mules really stubborn? If someone is stubborn, it means that they are contrary, unwilling to change, or unwilling to do things that are expected of them. Some people say that the stubborn person “walks to the beat of his own drum”. Mule expert, John Hauer wrote a book several years ago titled “The Natural Superiority of Mules” in which he says that mules are not really stubborn at all. He says that they are simply too intelligent to do stupid things. They also have a powerful self-protective streak. As an example, if you load up a pack mule with too much weight he will refuse to budge. But when you lighten the load to a point the mule feels comfortable, he will get going. 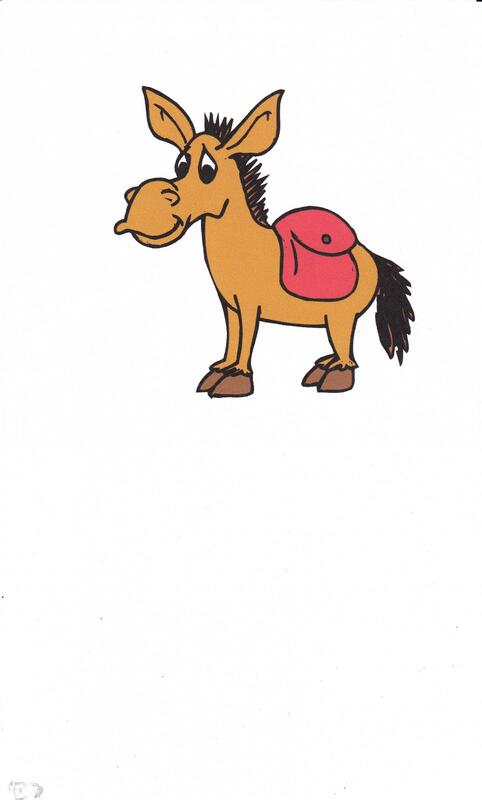 Another example – when a mule is exhausted after a long day on the trail, he will stop. Is he being stubborn? No, it’s the self-preservation thing. By contrast, a horse can be ridden to death. Contrary to popular belief, mules are not slow. Sure, a quarter horse would win a race around a track, but a mule can keep up a nice gait for hours, and would likely win the endurance race against a horse. Hauer says that extreme heat doesn’t affect mules as much as horses. He explains that the large ears, inherited from the donkey side, radiate heat. Because mules do not sweat much, they do not require as much water as horses. Other mule facts: Pound for pound, they are stronger than horses. They can jump better than horses. Their speed and agility is equal to a horse. They live from five to ten years longer than a horse. Also, their hybrid vigor (they’re produced by mating a male donkey with a female horse) makes them resistant to many of the infections and afflictions common to horses. In addition, they are exceptionally cute and loveable. Hauer says that a mule can do anything a horse can do; they can do some things better; and they’ll love you like a dog. “I kind of consider the mule a super-horse,” says Hauer. Hauer tells about how mules have carried him with unwavering sure-footedness into the highest reaches of the 12,000-foot La Sal Mountains, through Nevada’s burning desert, and up Colorado’s canyons. They did not get sick, they did not go lame, they never missed a step, nor did they slip on a rock. Whereas on those rides, he recalls watching other riders dismount their horses and lead them along especially treacherous trails. “It never occurred to me to get off. I knew the mule could handle the trail better than I could,” says Hauer. I remember that in the long-running “Gunsmoke” television series, Festus Haggen rode a mule named Ruth, instead of a horse. Perhaps Festus knew something about mules back then. It’s time to give credit where credit is due. Let’s put a stop to the “stubborn as a mule” myth. The next time someone calls you “mule headed”, just say “Thank you for the compliment”. I grew up in East Texas during the 1940s and 1950s, and must admit that my culinary experiences were very limited. I ate mostly meat, potatoes, and other vegetables that my dad grew in our small garden. I liked fried catfish, but never developed an appetite for the other little sea critters like shrimp, clams, oysters, and other like sea offerings. It was not until I enrolled in college in Waco that I was introduced to the now popular pizza pie. So, I was way behind the culinary curve in most areas. In 1974 we moved to Littleton, Colorado where I took a VP position with an insurance company. Being the new guy on the block, I had to endure some good-natured ribbing and pranks in order to become accepted by the herd. It was at this point that I was introduced to a delicacy, or a Hors d’oeuvre, to many Colorado natives. I had lunch with one of our local agents one day and he asked me the question, “Have you had any Rocky Mountain oysters yet?” I hated to reveal my ignorance to the guy, but I had no idea what he was referring to. So I replied, “Well, Bill, I don’t think I have ever eaten any. In fact, I don’t like oysters.” That comment produced a chuckle from Bill and he then told me what they really are. I was stunned. “Do you mean that people actually eat those things?” was my reply, knowing I had fallen for the loaded question. He laughed and said, “Oh, sure. They are quite a delicacy out here in the northwest. You just got to try some.” I never did eat one. In truth, “Rocky Mountain Oysters” is a term for a dish made of bull, pig, or sheep testicles. The organs are often deep-fried, coated in flour, pepper and salt, and sometimes pounded flat. This delicacy is most often served as an appetizer with a cocktail sauce dip. In the western part of the United States, most people lived off the land. “Waste not – want not” is often the idiom of choice when living off the land. Have left-over green tomatoes from your summer garden? Fried green tomatoes it is. Manure from your barn? Throw it on the compost pile. Found yourself with buckets of testicles from the annual branding and castrating of spring calves? Tuck it in, pardners - we’ve got some eating to do. It’s safe to say that the practice has appalled and fascinated the uninitiated for years. Many “hunter and gatherer” cultures would not want to waste anything. The dish, purportedly mainly cowboy fare, is most commonly found served at festivals, amongst ranching families, or at certain specialty eating establishments and bars. Just as there are legends about the organ meats such as liver and heart, there’s also the historical notion that consuming testosterone-rich testicles can be a masculinity-booster for those gentlemen seeking that extra edge either on the battlefield, or with the ladies. There is a supposed “Viagra” effect, according to tradition. I have read that many ranches collect them during branding, and when they are all done they will have a party afterwards. The “oysters” will be the main meal – a full course to go along with the beer and whiskey. Going back to my culinary roots, I feel that this delicacy is one that I can do without, just like the real oysters, shrimp, and crabs. 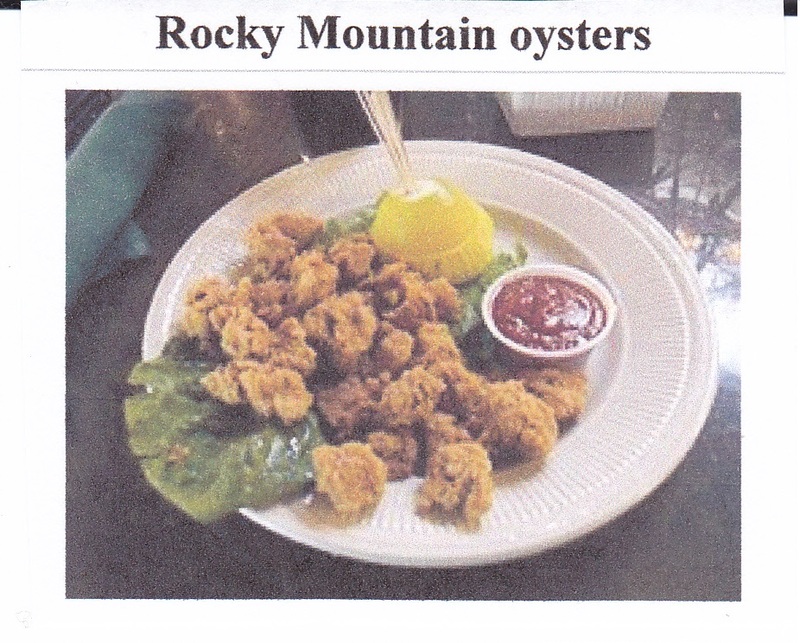 I just wanted to warn those of you who visit one of the western states, that you might get asked the same question I was, but unlike me, you will now know what Rocky Mountain oysters really are. If you are like me growing up in the 1940s and 1950s, you are acquainted with the chemical bicarbonate of soda under the brand name of Arm and Hammer. Baking soda, as it was called then, was used as an antacid for the stomach. I recall my mother making me swallow a teaspoon of baking soda mixed with a glass of water to make my stomach feel better, and it worked. I was personally acquainted with the soda’s logo, a red circle with a muscular arm holding a steel sledge hammer inside. I really never thought much about the company, however, a little research indicated a rather interesting history. I always thought that the company was started by the tycoon Armand Hammer. But, my research tells me that the product was in use 31 years before Mr. Hammer was born. The logo of the brand depicts the ancient symbol of a muscular arm holding a hammer inside a red circle with the brand name and slogan. This arm and hammer represents Vulcan, the Roman god of fire and metalworking. This logo is a registered trademark of Church & Dwight, a major American manufacturer of household products. Originally associated solely with baking soda and washing soda, the company began to expand the brand to other products in the 1970s by using baking soda as a deodorizing ingredient. The new products included toothpaste, laundry detergent, underarm deodorant, and cat litter. Armand Hammer started out as John Dwight & Company in 1846 when John Dwight and Austin Church used their sodium bicarbonate in their kitchen. They formerly made the COW BRAND trademark on their baking soda. In 1886, Austin retired and his two sons succeeded in selling their Arm and Hammer Baking Soda through their name, Church & Company as a competing company which continued selling Cow Brand baking soda. The Church & Dwight Company was formed when the two companies were merged. 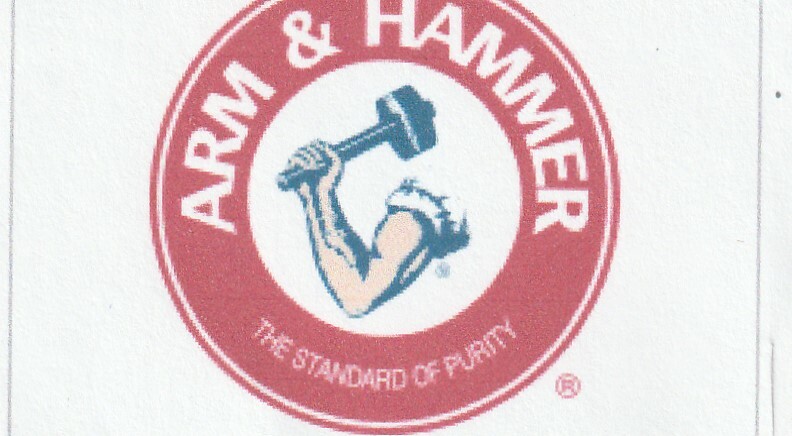 Armand Hammer was so often asked about the Church & Dwight brand that he attempted to buy the company. While unsuccessful, Hammer’s Occidental Petroleum in 1986 acquired enough stock for him to join the Church & Dwight board of directors. Hammer remained one of the owners of Arm & Hammer Company until his death in 1990. The Arm and Hammer logo has been used in heraldry, appearing in the Coat of Arms of Birmingham, and the Seal of Wisconsin. 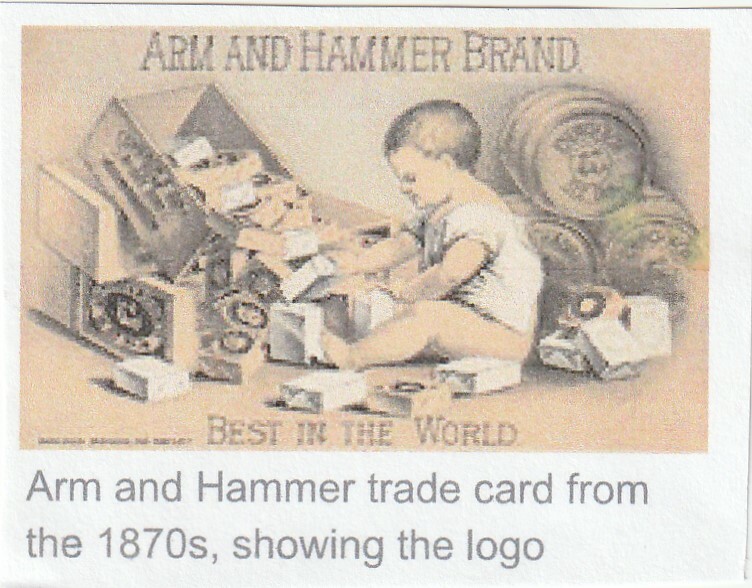 The similarity to the name of the industrialist, Armand Hammer, is not a coincidence as he was named after the symbol. His father, Julius Hammer, was a supporter of socialist causes, including the Socialist Labor Party of America, with its arm-and-hammer logo. This symbol is referred to by Charles Dickens in A Tale of Two Cities. As of 2016 the original sign is being held in the Charles Dickens Museum in London. England. Henry Starr claimed that he had robbed more banks than both the James-Younger Gang, and the Doolin-Dalton Gang put together. He began robbing banks on horseback in 1893, and ended up robbing his last bank in a Nash automobile in 1921. Thus, he was the first bank robber to use an automobile in a bank robbery. Henry is alleged to have robbed a total of 21 banks, making off with nearly $60,000 in money and gold. He was the most notorious bank robber of the old west. He glorified himself in his autobiography, and at least didn’t blame outside influences as some do, but called it his chosen path. Starr served a total of eighteen years in prison, and was generally a model prisoner. Born in Indian Territory near what would later become Fort Gibson, Oklahoma, on December 2, 1873, Henry Starr was a horse thief, a train robber, a bank robber, and a convicted murderer. Interestingly, he wrote an autobiography and also starred in the silent film that was made from his memoirs. The movie was titled “A Debtor to the Law”. Henry Starr was destined to become a criminal. His grandfather, Tom Starr, was known as “the Devil’s own”, and his father, George “Hop” Starr, was a bandit in his own right. His uncle, Sam Starr, was also an outlaw and was married to the infamous Belle Starr. Henry was part Cherokee, and grew up in Indian Territory near the Arkansas border. By age sixteen he had been arrested for bringing whiskey into Indian Territory, reportedly in a stolen wagon. He jumped bail and fled the territory. Henry could not stay out of trouble with the law. He robbed his first bank in 1893, and in all that time he only killed one man, and even that is not for sure. Starr was sentenced to hang by “hanging Judge” Isaac Parker, but won a reprieve. Eventually, no less that President Theodore Roosevelt pardoned him for bravery in disarming a noted badman, Cherokee Bill, during a prison break. It is thought that his pardon was influenced because one of Starr’s relatives was a member of the Rough Riders in Cuba. Starr then went straight, and got married, however the state of Arkansas wanted him extradited for an old bank robbery. Starr then teamed up with Kid Wilson and robbed more banks. He was eventually caught, and served four years in prison. After he was released he robbed fourteen more banks. Starr just couldn’t stay straight. In 1915 he tried to rob a bank in Stroud, Oklahoma, but was wounded by a teenager, and captured. He went to prison again, and after his release, re-enacted his role in a movie in 1920. But, Starr went back to robbing banks. At Harrison, Arkansas, Starr attempted to rob two banks on the same day. Unknown to Starr, the president of the People’s National Bank, W. J. Myers had hidden a .38 caliber rifle in the bank vault, and while Starr was collecting the money, Myers shot him. Starr died four days later on February 2, 1921. 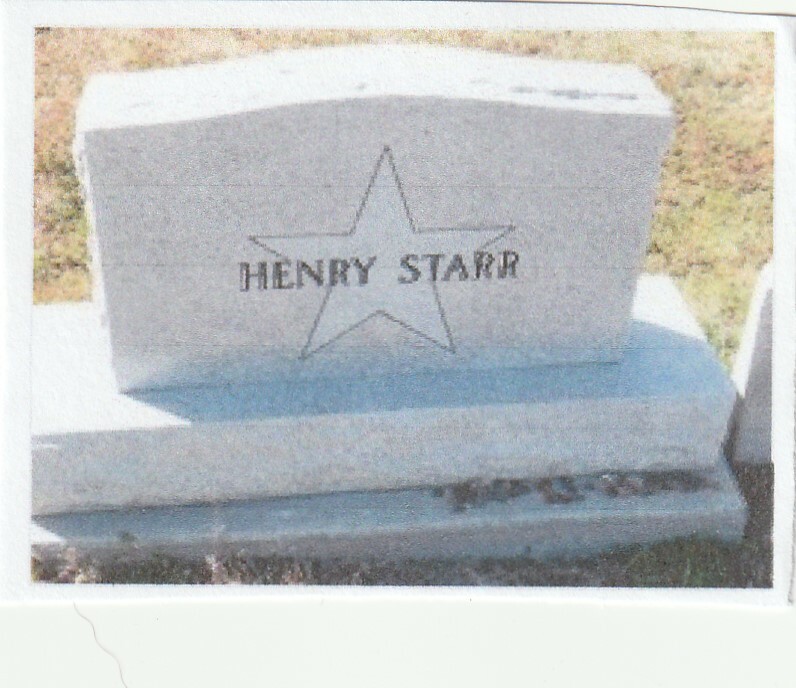 Henry Starr is buried in the Dewey Cemetery north of Dewey, Oklahoma on the east side of U. S. Highway 75. For decades afterward, Starr supporters targeted the by-then blind W. J. Myers and his family. Myers’ grandson was even targeted for kidnapping and ransom. All attempt at revenge by the Starr family proved futile. I haven’t thought of fender skirts in years until recently. I was examining a few items in my toy car collection when I looked at my 1955 Chevrolet Bel Air which had rear fender skirts. I always liked the look on most of the 1940 and 1950 model cars which sported the skirts. When I was a kid, I considered “fender skirts” a funny term. It made me think of a car in a dress. But with the introduction of the white wall tire the fender skirt just added a bit more class to the automobile. If you were born after 1950 you probably don’t know what fender skirts were. Well, they were installed mostly on the rear fenders to cover the top half of the wheel. They had both aesthetic and aerodynamic functions. Rather than air flowing into and being trapped in the rear wheel well, it flowed smoothly over the body work. According to some fans, the fender skirts improved gas mileage due to the air flow around the vehicle, however back in those days we weren’t particularly worried about good gas mileage as gasoline was around .30 cents a gallon, a fill-up costing around $6.00. The fender skirts were detachable to allow for tire changes and installation of snow chains. Auto makers experimented with front fender skirts on the 1950-1954 Nash Rambler, but with very limited success because the front tires must pivot which caused problems. 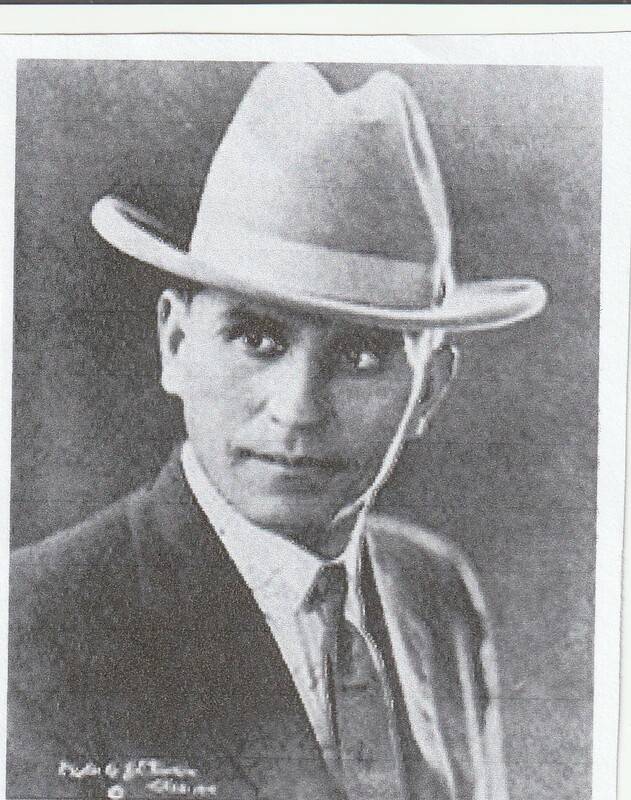 The fender skirt innovation introduction by Ammos Northup became common after 1933. However, by the 1970s, fender skirts began to disappear from mass market automobiles. They remained for some time longer on a few cars, particularly large American luxury cars. By 1985 fender skirts would disappear from all standard GM cars. As of 2009, the last car produced with fender skirts was the 1999-2006 Honda Insight. Thinking about fender skirts started me thinking about other items that quickly disappear from our language with hardly a notice - like “curb feelers”. Curb feelers were springs or wires installed on a vehicle which act as “whiskers” to warn drivers that they are too close to the curb while attempting to parallel park. The devices were fitted low on the car body near the wheels. As the car approached the curb, the protruding feelers acted as whiskers and scraped against the curb making a noise and alerting the driver in time to avoid damaging the tires or hubcaps. It seems that those curb feelers have disappeared from common use today. Remember “Continental kits”? They were rear bumper extenders and spare tire covers that were supposed to make any car look as cool as a Lincoln Continental. I used to see them installed on Fords, Chevrolets, and Plymouths frequently, but no more. When did we stop talking about “emergency brakes”? At some point “parking brake” became the proper term. But I miss the hint of major drama which went with “emergency brake”, don’t you? When was the last time you saw a car with a steering wheel knob? I had one on my first car, a 1950 Chevrolet Bel Air, and I loved it. It allowed me to steer with my left hand and put my right arm around the girl sitting next to me. I understand that the all-knowing government has outlawed their use except for people with disabilities. They changed the name of the knobs to “suicide knobs” as they contended that in the event of a collision the knob would do a number on one’s chest. I think that almost all the old folks are gone who would call the accelerator the “foot feed”, or the windshield the “wind screen”. Some words aren’t gone, but are definitely on the endangered list. The one that bothers me the most is “supper”. Now everybody says “dinner”. Let’s save a great word. Invite someone to supper and discuss fender skirts. Spitting is currently considered rude and a social taboo in many parts of the world, including the West. In China it is considered more acceptable. Social attitudes towards spitting have changed greatly in Western Europe since the Middle Ages. Back then, frequent spitting was a part of everyday life, and at all levels of society it was thought ill-mannered to hold back saliva to avoid spitting. By the early 1700s, spitting had become seen as something which should be concealed, and by 1859 many viewed spitting on the floor or street as vulgar, especially in mixed company. So, the question is this, “Is spitting functional or gratuitous?” On the sidelines, on the team bench, television gives us up-close images of a behavior that we frown upon in homes, most interior spaces generally, and out-of-doors public places as well. Some sports see it, others don’t. Golfers, or tennis players don’t spit. Basketball players in big indoor arenas don’t - or do they? Is social class a factor? Is the culture of a particular sport conducive or un-conducive? If so, why? I watch athletes spitting water and I wonder why don’t they just drink what they need, swallow it all, and quit there? Many basketball players spit a lot, but much of this is done over the end lines in smaller gyms, or into towels. Soccer and football players are big on expectorating, but seem to try to do it where they and others will not be falling into it. The same holds true in tennis - you don’t want to grease the court, so many wait until the breaks when they can rinse their mouth with water at the same time. Spitting is tied to chewing tobacco in our dear old American culture, and chaw use peaked in about 1890. This cultural timing may partly explain the enduring association between chaw, baseball, and spitting - and may partly explain baseball’s remarkable supply of ritual gestures and posturing. One last thought here - that is the ritual spitting of that last mouthful of water. Not in clearing the throat, but in that last mouthful of water. Why spit it out? Is it a symbolic tribute to the gods, or to make a statement? Do you know of any sport in which women athletes spit the way men do? I can’t think of any, so spitting is perhaps male-specific. One suggestion might be this - is spitting a way of an athlete marking his territory? A lineman spits on a football field at the line of scrimmage in front of an opponent. Is he not saying, “this is my turf”? Is it not also an expression of disrespect to the opponent: “I spit in your general direction you wimpy pig-dog!” Of course, I ask myself much the same thing when I see young men and boys spitting on the street or sidewalk, too. When I was in high school during the 1950s, the game of washer pitching (Texas horseshoes) was a favorite pastime of us students. Before school, during the lunch break, and even after school one could see boys pitching washers. Occasionally a girl would participate, but it was mostly a masculine game. I loved to play and got reasonably good at it. The school yard was replete with holes dug in the ground in order to pitch washers at them. I suspect that an inspection of the school grounds today would find no washer holes, as this game has been gone for many years, replaced by home computers, I pods, and MP3 gadgets. Boys don’t venture outdoors much anymore to play the old games. The game was very simple to play. All one needed was a set of 2 ½ inch washers, and two 3 ½ holes dug in the ground approximately twenty feet apart. Usually two players with three washers each pitched against each other. Of course, the object of the game was to get the washer into the hole which was worth three points. A “hanger”, a washer that teetered on the edge of the hole, but did not fall in, was worth two points. The history of washer pitching is unclear. It apparently dates back to ancient Egypt and Greece around 500 BC, as evidence has been found of the game being played. 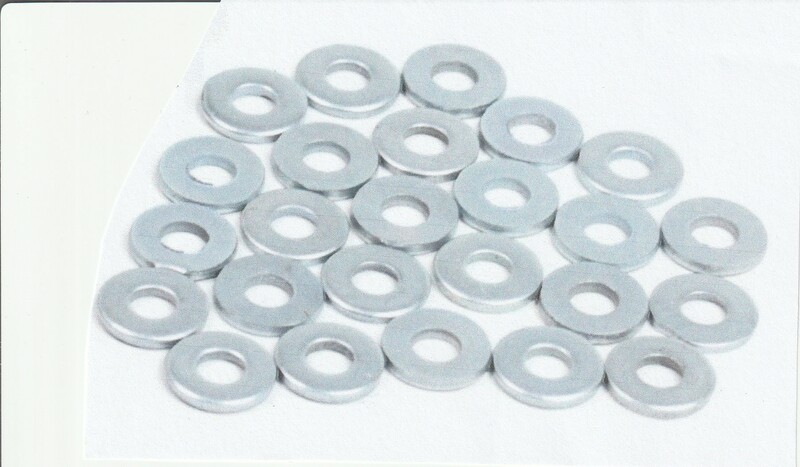 The first washers were made of fired clay, and because of this they were lighter than ours. Tradition says that washer pitching was introduced into the United States around 1873 in Indiana. It is said that pioneers took work breaks and used spare washers for their wagon wheels to play the game. In the early West Texas oil fields, workers would pitch washers using the washers from their oil derricks. However the game was introduced to the USA, I am glad that it was, as I spent many hours refining my tossing method. In today’s modern world, I find that the game is still played, either indoors or outside. The game is now played with two boards, each with one circular hole in the center as the target, usually made of four inch PVC pipe. The boards are placed fifteen feet apart, with three washers per player. It is said that these boards with holes are superior to the holes dug in the ground because you can’t take the holes with you when you leave. I guess that logic makes sense. Well, at least the game of pitching washers is still around. I would like to see it get started again at our high school so the modern teenager could experience the thrill of tossing a washer twenty feet and have it land squarely in the hole for three points. That is almost as exciting as scoring a touchdown, or making a three-pointer in basketball. I grew up in a simpler time when we kids had to make up our own games to entertain ourselves. Pitching washers was one of the best. One of my pet peeves is for a man to wear his hat or cap in the house. Back in my day, men were taught to remove their hats or caps as soon as they crossed the threshold of a house or public building. In addition, the ladies were to remove theirs if they obstructed someone’s view. There were very few exceptions to the rule, so it was easy to know what to do. The world has become more casual over time, and even though hats aren’t necessarily a problem, it’s never wrong to remove them when going indoors, especially when you are in the presence of someone from a generation when that was the thing to do. Hats were originally designed to keep the head warm, protect it from the sun, and keep the dust out of one’s eyes. They were removed when the man went indoors to prevent the dust on the hat from getting on the furniture and floor of the house. Now days, hats are as much a fashion statement as they are practical. Even so, there are some places that a man might want to think about removing his hat. This includes dress hats, knit hats, berets, beanies, and baseball caps. In Someone’s home: Any time you visit the home of a friend or family member, take off your hat at the door. Keep your hat off until it’s time to leave. If you have a habit of leaving it on all the time, work on breaking it at home. In a Public Place: This includes restaurants, malls, schools, offices, churches, and any other place where you will see other people. There is nothing wrong with wearing a hat indoors if it’s required, such as a hard hat at a construction site. During the “National Anthem”: The hat must be removed and held until the anthem is over. This rule applies both indoors and outside. What about women and hats? This may sound like a double standard, but women have had a completely different set of rules for wearing hats, at least in the past. Women could always pretty much get away with wearing a fashion hat whenever they want, as long as it doesn’t obstruct someone’s view, or interfere with their work. • To don a hat is to put it on. To doff it is to take it off. • The phrase “Mad Hatter” came from the time when hat makers handled mercury and other toxic chemicals that affected their nervous system, and often caused early dementia. • National Hat Day is January 15th. This is the time to don your favorite headwear in celebration of the hat. • The first time a top hat was worn in public in the late 1870s, people were appalled and started a riot because it broke the rules of the day. 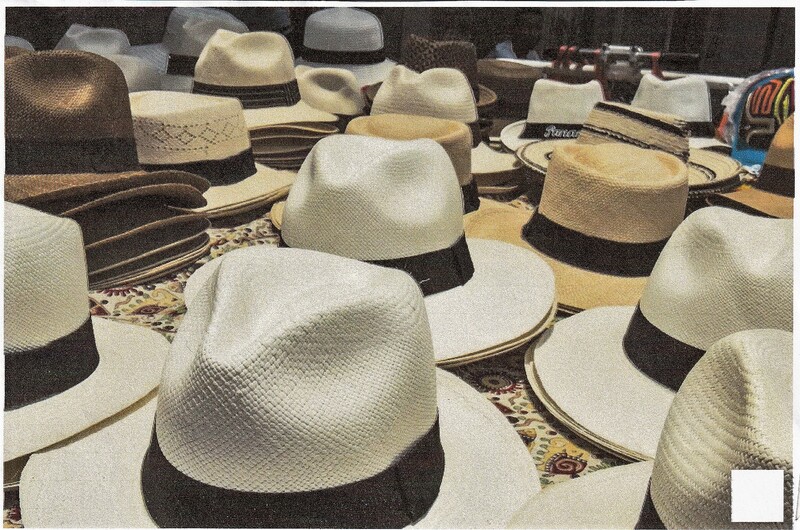 “Hat etiquette” rules have faded, but not disappeared for some people, generally the older generation, of which I am a part, where the old guidelines still apply. Although knowing when and where don a hat or doff it is not difficult to apply. The old rules may seem silly, but they offer an excellent show of respect for society. Ask any southern belle about hats, and she’ll tell you that wearing them is a privilege that shouldn’t be taken lightly. Wearing a hat or cap carries some responsibility, and that includes knowing when to take it off. There is nothing quite as upsetting to a young lad as being falsely accused of a crime. Now understand, I was not an angel around nine or ten years of age, but being accused of a heinous crime was a shock to my total being. 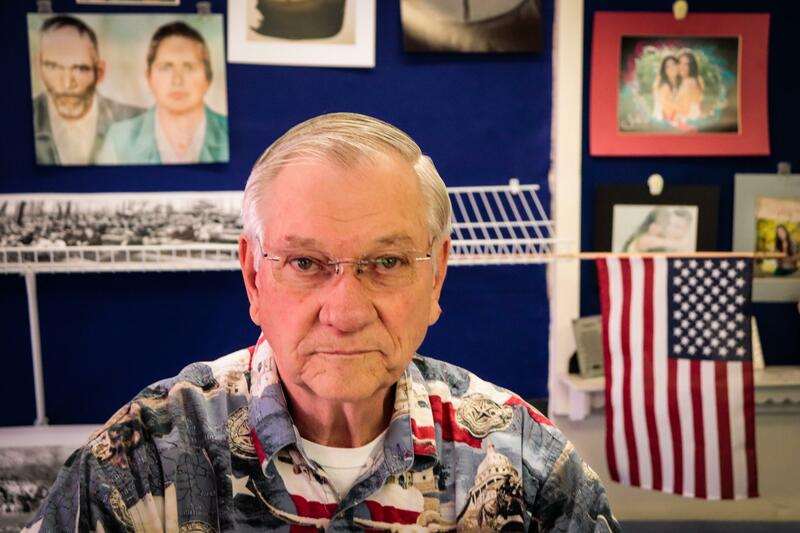 Most of the time when our family drove through Jasper, Texas, my father, Cecil, would stop at a café in the downtown area for coffee or a soft drink. On this occasion as we walked into the building, I walked over to the gum racks and looked at several packages. I was looking for Dentyne gum, but found none. I put the packs of gum back into their boxes. Dad looked at me, I looked at the floor, mother looked at Dad. “Neal, do you have a pack of gum in your pants pocket?”, he asked sternly. “No, daddy, I don’t. I looked at some, but put them back on the shelf.” The clerk chimed in, “I seen him put it in his pocket”. I learned a good lesson that day. I never examined gum or candy again in a store that would give the appearance of stealing. To my knowledge, we never stopped at that café in Jasper again. As “they” say, perception is reality, even when it involves only a package of gum. In 1955 I was a 19 year old college student attending Stephen F. Austin University in Nacogdoches, Texas. Since money was hard to come by in those days, I had to work after classes in order to meet expenses. I had been hired by the Oakley-Metcalf Funeral Home to live on premises and work as a general flunky. I was paid the awesome sum of $120 per month, plus my room. Seems very puny money today, but then it was a fairly decent job for a college student. 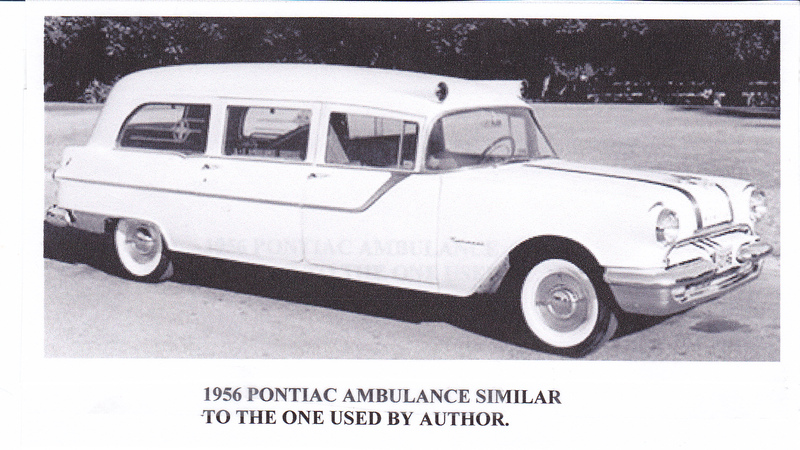 Oakley-Metcalf owned an emergency ambulance, affectionately known as the “hot shot”, a hearse, and a transfer ambulance. The transfer ambulance had been converted to hold a cot for non-emergency sick calls. “Well, Gary, I feel sorry for Willie. I hope the boss will remember all the things he has done right over the years”, I opined. The boss gave Willie a “lecture” about his failure to keep the ambulances full of gas and not to let it happen again. I think Skinny knew that this incident was an honest mistake and that Willie was a good employee. So, nothing further was said bout “running out of gas”, and it never happened again while I was there. ?Name changed to protect the guilty. Has anyone ever said about you, “He/she is just not worth their salt.” This is an interesting statement. What about salt, and what it is worth? To me, salt is a very cheap mineral. One can purchase a box of salt at the grocery story for less than a dollar. So, what’s the deal about salt being worth so much? 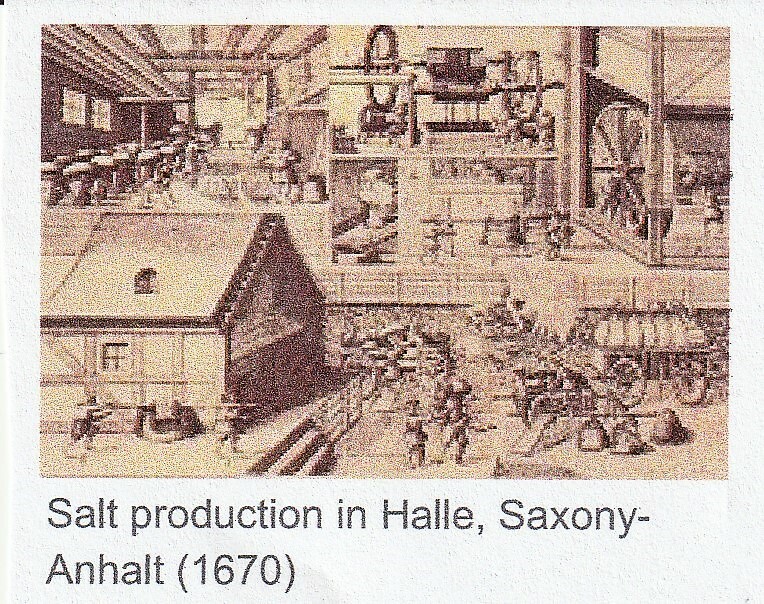 Salt itself has an interesting history. The use of salt dates back to Biblical days in the Old Testament. It seems that Sodium chloride, a.k.a, salt, is essential for human life, and until the invention of canning and refrigeration, was the primary method of preserving food. Not surprisingly, it has long been considered valuable. Actually, what the phrase “not worth his salt” means is to be worth one’s pay. Our word salary derives from the Latin word salarium (sal is the Latin word for salt), and literally means salt money. Salarium was the money paid to Roman soldiers that they used to purchase salt and other valuable items. Some historians believe that the Roman solders were actually paid with salt. Some of the earliest evidence of salt preserving dates to around 6,000 BC when people living in the area of present-day Romania boiled spring water to extract salt; a salt-works in China that dates to approximately the same period. Salt was also prized by the ancient Hebrews, the Greeks, the Romans, and the Indians. Salt became an important article of trade, and was transported by boat across the Mediterranean Sea, along specially built salt roads, and across the Sahara desert on camel caravans. In Biblical times we may recall what happened to Lot’s wife when she turned back to long for the city of Sodom. The Bible says the she was turned into a pillar of salt. The people of that day would line their clay ovens with salt to enhance the heat. Salt continues to be important enough to feature in the language for many centuries. Other phrases that would have been known to the medieval mind were, “take with a grain of salt”, the “salt of the earth”, and “below the salt line”. The ancient roots of “worth one’s salt” compares to the 13th century’s “worth one’s weight in gold”, and the 14th century’s “worth one’s while” which gives the phrase an historical air. So, we find that the phrase “to be worth one’s salt” means a good employee, or to be worthy, or worthwhile. In other words, this idiom describes a person who deserves the pay her or she receives, or someone who is worth the cost. Think about it – are you a person who is “worth your salt” in every thing you do? If not, then you need to do something about it right away. When Clara and I married years ago, she was insistent that she live up to the old adage that goes “something old, something new, something borrowed, and something blue”. She had to borrow a couple of the items to complete the list. I never thought about it very much until lately. I began to wonder where does this rhyming wedding tradition come from, and what does it mean? A little research provided me with the following information that might be of interest to you. The rhyme names five good-luck objects meant to bring prosperity to the bride who carries them on her wedding day. But, how could these items bring good luck? “Something old” – Back in the olden days including “something old” was a sure way to ward off the Evil Eye and protect any future children the couple might have. The Evil Eye was thought to cause infertility in the bride. But more generally, “something old” represents continuity. Contemporary couples use this as a chance to wear a sentimental piece of jewelry, or an item of clothing belonging to an older relative. “Something new” – This offers optimism for the future. The couple is about to enter into a new chapter in life, so walking into marriage with “something new” makes total sense. It can be anything, including the wedding dress, veil, jewelry, or shoes. It could be a gift from someone else, or the result of a treat-yourself moment. “Something borrowed” – This one is supposed to bring the couple good luck. By borrowing something from a happily married friend, the bride is ensured a little of their good fortune rubs off on her. Superstition urged the bride to borrow the undergarments of a female friend with a happy marriage and healthy kids for a touch of good luck as you say your “I dos”. “Something blue” – The color blue stands for love, purity, and fidelity – three key qualities for a solid marriage. 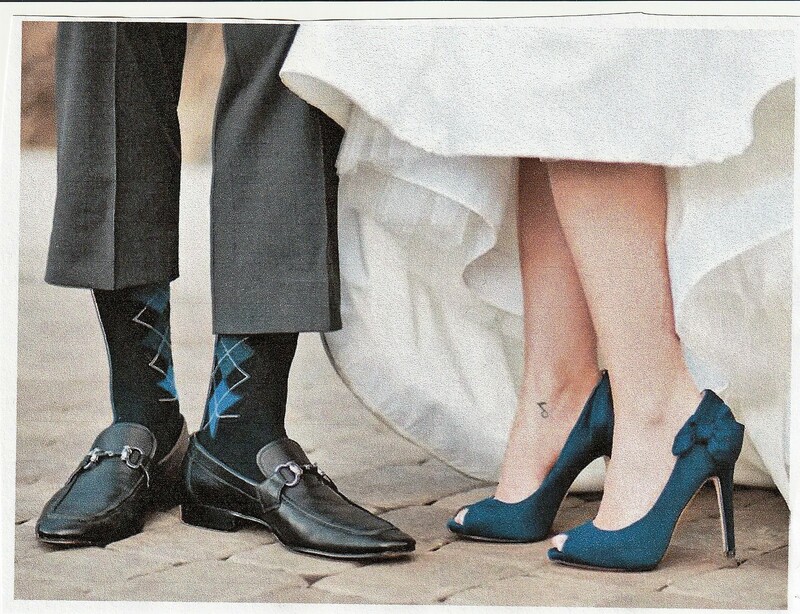 The traditional “blue” was often a blue garter worn beneath the bride’s white dress. Of course, the bride could address this item by sprinkling blue clematis into the bouquet, pick out a gorgeous pair of blue pumps, or find a powder-blue bow tie, or use blue ribbon to tie her invitations together, just because she feels like it. “The sixpence” – This was a silver British coin. It was a symbol of prosperity or acted as a ward against evil done by frustrated suitors. This superstition is known since 1883 when it was attributed to the English county of Lancashire. The usual effect on the bride of the Evil Eye is to render her barren. Both the “sixpence” and the “something borrowed” are devices to baffle the Evil Eye. So, there you have them, but do not stress over them. They are not meant to dictate your wedding style, or inspire a hunt for the perfect “somethings”. They are usually small tokens of love that your mother, sister, other relatives, or attendants will give you at the eleventh hour. And now, of course, this sweet tradition extends far beyond trinkets for the bride. The groom can sport a blue tie, or borrow their grandfather’s cuff links. Bridesmaids can wear blue and act as the bride’s “something blue”. Now days most anything goes – you name it. So, there you have the meaning of this old wedding rhyme. If any of you readers are planning a wedding in the near future, you might do well to include all these items in your plans. You surely don’t want the “Evil Eye” after you because you didn’t. In 1959, shortly after my marriage, Roy Crowe hired me to work with the Texas Highway Department. I had completed three years of college, so I assume that Mr. Crowe felt I had enough “learning” to be trained as a draftsman. Mr. Jesse Price had his hands full trying to teach me the finer aspects of calculating the amount of steel and concrete for a bridge, or a culvert. Plotting curves always gave me trouble. One summer the state let a contract to have Highway 96 from San Augustine to the Shelby County line resurfaced with hot mix. As I recall, the contractor was from Waco, Texas. Little did I know how involved I, a lowly draftsman, would be involved with this project. The state required continuous inspection of the hot mix itself, as well as its installation. Suddenly, I became one of those inspectors. Mr. Crowe set up an inspection station on the location of the hot mix plant, about eight miles north of San Augustine. I had never even seen hot mix, much less checked the finished product from its source. Grady Arbuckle and I were assigned to the little shack on the plant premises. Grady had prior experience with hot mix and was the chief inspector. I was the gopher. Early in the morning dump trucks waited in line to receive their load of hot mix to transport to the paving site. Apparently the truckers were paid for each load which increased their desire to get in as many loads per day as possible. My job was to spot check the hot mix to make sure the temperature was just right. I was given a large thermometer along with the authority to stop any loaded truck and check it. The hot material had to be within a temperature range as it left the plant. I would stop a truck, stick the thermometer down into the hot mix, then read the results. Most of the time there was not a problem. However, several times it was too hot, or perhaps too cold, and the load had to be dumped, much to the chagrin of the trucker, who then had to get back in line. Several times a day I collected a bucket full of hot mix off a truck, and took it to the shack. Grady would then perform several tests on the contents. I recall a machine that pressed the mix into a compact cylinder about three inches in height. It was then immersed in water in order to check its “specific gravity”. I never knew for sure what that meant, but it seemed very important to the job. I took notes of the results for the permanent record. Since it was rather lonely in the crude shack, I took an old radio to listen to music while working, sort of like “whistling while you work”. I could only receive two AM stations, Center and Nacogdoches. Both featured country-western music. Buddy Pratt, who was driving a dump truck, chided me several times for listening to that kind of music. “But, Buddy,” I explained, “that’s the only kind of music I can get here. I will be careful and not let it affect me in a bad way.” Buddy went on to become a pastor, and I still don’t really like C/W music. On several occasions I was assigned to walk alongside the steaming hot mix laying machine, again to check the temperature of the mix. That made for a long, tiring day, however I was rewarded one day by finding a half dollar on the side of the road. After several months the job was finished. It was the custom for the contractor to give gifts to the state inspectors which usually was a bottle of whiskey or bourbon. The contractor, Mr. Probost, gave me, instead, a leather bound Bible. I have that Bible to this day, and every time I pick it up I recall the hot mix job which earned it for me. About 10% of the population is left-handed. Our daughter is left-handed even though both of her parents are right-handed. So, what happened? Is being born with the dominant hand being the left one blamed on genetics? Lefties have had a tough time over the centuries overcoming their “handicap”. Beginning at the time of the Industrial Revolution, workers needed to operate complex machines that were almost certainly designed with right-handers in mind. This would make the leftie appear less capable and clumsier. During this period schools invariably forced the left-handed student to learn to write with their right hand. They were learning to write with a dip pen which right-handers could smoothly drag across paper from left to right, but this would not work as well if a leftie was dragging his hand over the wet ink. Over the centuries left-handed people have been considered unlucky or even malicious for their difference by the right-handed majority. Throughout history, being left-handed was considered negative. The Latin adjective sinister means “left” as well as “unlucky”. There are many negative connotations associated with the phrase “left-handed”: clumsy, awkward, unlucky, insincere, sinister, malicious, and so on. A “left-handed compliment” is considered one that is unflattering. Even Black Magic is sometimes referred to as the “left-hand path”. First, lefties make up only about 10% of the population, but studies find that individuals who are left-handed score higher when it comes to creativity, imagination, day dreaming, and intuition. They are also better at rhythm and visualization. Second, they are in some good company. Benjamin Franklin and Henry Ford are listed as left-handed, along with four of the last five U.S. presidents. England’s Prince William is a lefty. Michelangelo, Raphael, Leonardo da Vinci, and Renoir made the list as well. Thirdly, left-handed stroke victims reportedly recover faster. It is believed that it’s due to the left-handed people having to strengthen both sides of their brain to succeed in a right-handed world. Because many lefties are better at using their non-dominant hand, it is less difficult for them to recover from a stroke that damages one part of their brain. Fourth, left-handers may have the edge in competitions where opponents face each other, such as tennis, baseball, and boxing. This may be due to the fact that left-handers have more opportunity to practice against right-handed opposition. Fifth, the word is that left-handed college graduates go on to become 26 percent richer than right-handed students. In addition, four of the five original designers of the Macintosh (Apple) computer are listed as lefties. Sixth, there are stores devoted to selling practical and novelty items to left-handed people. Online shops offer everything from left-handed mugs and kitchen sets, to school and office supplies, clothing, and “backwards” watches and clocks. According to myth, giving a toast with your left hand is the same as placing a curse on the person you are saluting. When Joan of Arc was burned at the stake, depictions showed her as being left-handed, in order to appear more evil. Left-handers were also harshly discriminated against during the 18th and 19th centuries, and it was often “beaten out” of them. But all you lefties have something to look forward to. Every August 13th is declared “International Left-Hander’s Day”. It was founded in 1990 by the “Left-Hander’s Club”, an annual event when left-handers everywhere can celebrate their left-handedness. Thousands of left-handed people in today’s society have to adapt to use right handed tools and objects. The festivities include left-v-right sports matches, a left-handed tea party, and pubs using left-handed corkscrews, and playing games with the left hand only. I understand that now days school teachers do not force lefties to learn to write with their right hand, but allow the students to use whichever hand is more comfortable. I think that is good progress. Being left-handed appears to have some advantages as mentioned above. I will have to consult my left-handed daughter about this. Perhaps like me, you have seen women of all ages react to something they see in a strange way. I have kept close note of this phenomenon recently and almost without exception note that women tend to place their hand over their mouth when scared or shocked, or see something particularly upsetting. We witnessed this when former Secretary of State Hillary Clinton covered her mouth as she watched Navy Seals execute Osama Ben Laden, although she blamed it on allergies. We even see this gesture when beauty pageant contestants are crowned. The question is why do women do this? According to body language experts it is called the “pacifier gesture”. It’s like a kid sucking his thumb. When our hands go up and touch our mouths it is saying to ourselves, “It’s OK, it’s safe”. It’s like our mother giving us a hug. It says that we will get through this just fine. Some experts say that when females witness a terrible accident, hear bad news, or are in disbelief, putting their hands over their mouth is physically expressing that they can’t emotionally take anything else in at that point. Males seldom make the same gesture, but will place their heads in their hands instead. This is called a “face palm”. Chinese custom which forbade females from showing the insides of their mouths. It was considered uncouth, thus they covered their mouths with their hand when yawning or eating. Thus, they tended to keep their mouths shut at all times. I think it might be a good thing to resurrect this custom today. Although men don’t usually cover their mouth with their hand they may use a softer version of this, as the man in the boardroom who puts his pointy finger over his lips and his hands on this chin. He is expressing basically the same emotion as the female putting her hand over her mouth. It would seem to me that the had-over-mouth gesture in women is also in their DNA as well. Make a conscious note of how often you see women do this. Sometimes they will place both hands over their mouths in a particularly severe moment. Perhaps this has its roots in the old Chinese adage of the three monkeys’ “hear no evil, “see no evil”, and “speak no evil”, with their hands covering their ears, eyes, and mouth. Perhaps the ladies are unconsciously saying, “I had better keep my mouth shut at this moment, for fear of saying the wrong thing at the wrong time.” Now, with that I can heartedly agree. In 1939 a little poem was written by Robert L. May for Montgomery Ward’s annual holiday booklet giveaway. It was a story of an outcast reindeer whose “differences” ultimately helped him save Santa’s threatened sleigh ride on Christmas Eve. To everyone’s surprise, the poem sold over one hundred thousand copies. It became widely acknowledged that if not for Ina, there would be no “Rudolph, The Red-Nosed Reindeer” by Gene Autry. Carl Cotner, Gene’s musical director also tried to talk Gene into recording it. Carl had told Gene he thought it would be a good song for him, and Carl did the arrangement. At a recording session, Gene said, “How about that little song that you are so crazy about?” They placed it on the music stand and he recorded it in one take. It was later admitted that Ina had talked Gene into doing it. Five weeks later, on August 4th, Gene cut two more Christmas numbers, Santa, Santa, Santa and If It Doesn’t Snow On Christmas which had moderate success. 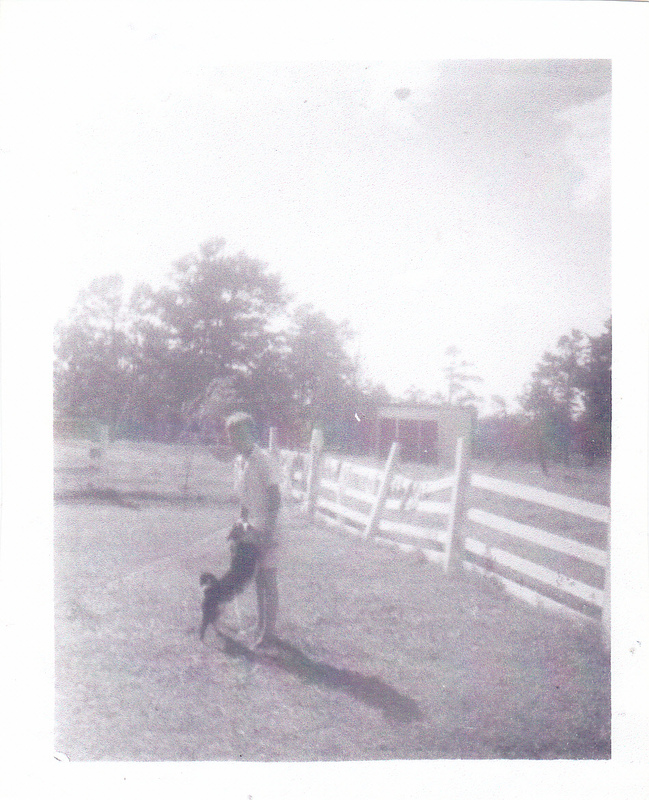 In the early 1950s I was dating a young lady from the small town of Hemphill, Texas. Her father was the pastor of the local Baptist church. In those days pastors were paid very little in salary. However, there were other “perks” that automatically accompanied being a pastor. One of these perks was offerings of food from the parishioners. Almost daily a member of the congregation would stop by his home and leave some food. On the surface this seems a very nice thing to do, and it was. However, some of the food often was unidentifiable. On the Thanksgiving before his daughter, Clara, and I were married, I recall that a church member stopped by their house on the day before Thanksgiving and left some kind of fowl. It had been plucked and cleaned, but it could not be identified as either a chicken, goose, or duck. I always thought that it was a buzzard, but the consensus of opinion was that it was a goose. In fact, one member of the family bit down on a led pellet from the bird shot used to kill it. My future father-in-law was concerned about how to respond to the members who had brought food that he was afraid to eat, particularly when he dumped it behind the garage. If he told them that the food was delicious, then he was obviously fibbing which is frowned upon in the Bible. After pondering this problem for a while he had a brainstorm of an idea to solve his problem. He named the place where the food was dumped “the spot”. Then when his members asked how he liked the dish brought to him he would respond with “It truly hit the spot. Thank you very much.” Thus, the giver was pleased and the pastor had not told a fib. Everyone was happy. Nowadays most pastors are paid a living wage, and only a few people bring fowl, eggs, milk, and, yes, some unknown items to the preacher’s house as a sort of offering. Thus, the problem does not exist in that area as it once did. Over the years my wife and I have had many a laugh about all the things that were brought to her father’s house with good intentions but bad selections. I vividly recall a “ritual” that we kids performed after the Thanksgiving and Christmas meals back in my early years. This activity was passed down to our children but seems to have been lost to the current crop of kids. I recall my mother announcing to we kids after dinner was over, “Here’s the wish bone. Who wants it?” Instantly there would be a flurry of activity toward that “Y” shaped bone garnered from the breast of the turkey amid cries of “I want to pull it this year”, or “It’s my turn. You did it last year.” Eventually, things would be worked down to the two lucky ones who got to make a wish and pull the wish bone until it broke. The holder of the longer piece was the “winner” whose wish would magically come true. I am sure that the same ritual was played out in millions of homes each year. Thanksgiving is a North American holiday of recent vintage, whereas the breaking of the wishbone comes to us from Europe. It was a tradition dating back thousand of years. A bird’s wishbone is technically known as the furcula (meaning “little fork” in Latin). It is formed by the fusion of two clavicles, and is important to flight because of its elasticity, and the tendons that attach to it. We humans have a similar bone known as “collarbones”. The question before us is - where did the custom of making a wish and then snapping the bone originate, and how did it get to America? Research reveals that the custom came to us from the English, who got it from the Romans, who got it from the Etruscans, an ancient Italian civilization. As far as historians and archaeologists can discover, the Etruscans were really into their fowls, especially chickens. In fact, many believed that the birds were oracles and could predict the future. They exploited the chickens’ supposed gifts by turning them into walking Ouija boards with a bizarre ritual known as “rooster divination”. They would draw a circle on the ground and divide it into wedges representing the letters of the Etruscan alphabet. Bits of food were scattered on each wedge and a chicken was placed in the center of the circle. As the bird snacked, scribes would note the sequence of letters that it pecked at, and the local priests would use the resulting messages to divine the future and answer the city’s most pressing questions. When a chicken was killed, the furcula was laid out in the sun to dry so that it could be preserved, and the people would still have access to the oracle’s power even after its demise. People would pick up the bone, stroke it, and make wishes on it, hence the modern name of “wishbone”. As the Romans crossed paths with the Etruscans, they adopted some of their customs, including alectryomancy and making wishes on the furcula. According to tradition, the Romans went from merely petting the bones to breaking them because of supply and demand. There weren’t enough bones to go around for everyone to wish on, so two people would wish on the same bone and then break it to see who got the larger piece and their wish. As the Romans traipsed around Europe, they left their cultural mark in many different places, including the British Isles. People living in England at the time adopted the wishbone custom, and it eventually came to the New World with English settlers, who began using the turkeys’ wishbone as well as the chicken’s. Pilgrims who immigrated to the United States are believed to have brought the tradition with them. Once discovering that the wild turkeys populating their new home possessed wishbones just like the fowl from home, the wishbone tradition became a part of the Thanksgiving celebration. Let us hope that the modern generation will not let it die completely. It has come a long way and deserves to entertain children of today’s generation as it has so many others. The above line, first spoken on stage around 1590, and first published in 1594, evidences a basic animosity toward lawyers among the folk of the Renaissance period. In the 428 years since the composition of this line, attitudes toward lawyers among the common folk have changed very little. The following lawyer riddles have been around for awhile, and have been voted the best by us common folk. 1. How can you tell when a lawyer is lying? 2. Why won’t a rattlesnake strike a lawyer? 4. What is black and brown and looks good on a lawyer? 5. What do lawyers use for birth control? 6. What do you call two hundred lawyers at the bottom of the sea? 7. What do you call a lawyer with an IQ less than 50? 8. What do you get when you cross a lawyer with the Godfather? 10. What is the difference between an alligator and a lawyer? 12. Why are lawyers buried twelve feet deep instead of six feet? Did you hear about the blizzard in Amarillo? The weather was so bad that schools had to close, pipes were frozen, and streets had to be sanded. It was so cold that a lawyer was actually spotted with his hands in his own pockets. One evening an honest lawyer, a dishonest lawyer, and the tooth fairy were sitting around a table. There was a ten dollar bill on the table. Suddenly the lights went out. After a while, the lights came back on. The ten dollar bill was gone. Who took it? All of these stories about lawyers help us to laugh at them, and at ourselves, and at the stressful situations which require us to deal with lawyers. Some of my best friends are lawyers. The summer of 1956 was an interesting one for me. I was out of classes from Baylor University for the summer. 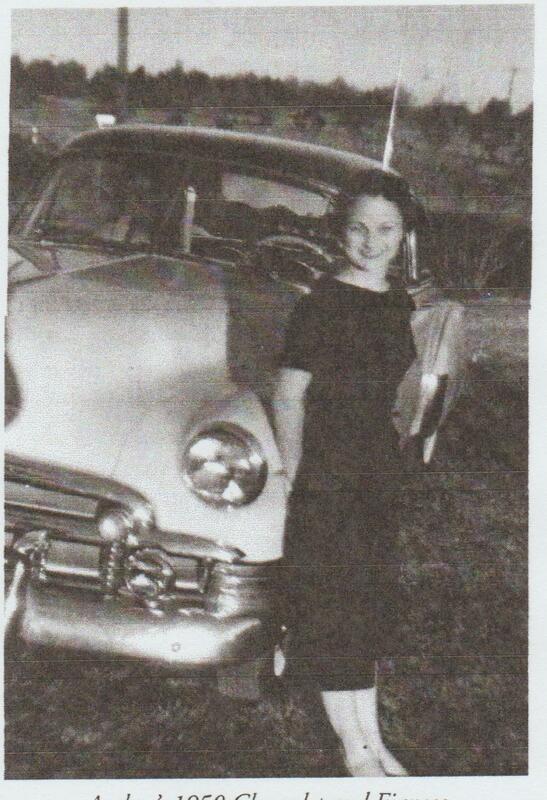 I had purchased my first car, a 1950 Chevrolet two-door sedan. My future wife and I were courting pretty often, and I found a much-needed job. The only problem with this picture was that the job was in Houston, Texas. A job had opened up for me with Anderson-Clayton Cotton Company paying $350.00 per month. This was good money for a nineteen year old naive kid from East Texas. I needed the money badly enough to accept the job, and rent one room in an elderly couple’s house on Pease street in Houston. The job was located in a large warehouse on the docks of the ship channel. No heat or air conditioning made for an uncomfortable shift. I had never seen so many bales of cotton in my life as were stored in this warehouse, and several more warehouses along the docks. I soon learned that each and every bale of cotton received by the company had to be rated, weighed, and classified. This is where I came in. Situated at a long table with several other men, a bale of cotton would be brought to the table. One man took three samples from the top to bottom of the bale. Another man would grade the color, another the texture, and finally a third man the length of the fibers of the samples. My job was to write down all these ratings on a tally sheet. I did not know much about cotton, but I sure could tally. One week we were instructed to take inventory of the bales of cotton contained in these warehouses, which were stacked from floor to ceiling. I and another man would start at either end of the cotton bales and start counting until the end of the row. If we both came up with the same number, we could go to the next one. Not only were there bales of cotton in those warehouses, there were also rats, spiders, lizards and other unidentified critters. Needless to say, I hated taking inventory. Each Friday afternoon we were paid by check. I would come to work Friday morning with my Chevrolet packed, then speed out of Houston at the end of the work day, stopping briefly in Cleveland to cash my check at a bank. Once back in San Augustine on Friday night, I would call Clara and set up dates for Saturday and Sunday nights. This worked well for us all summer. One Sunday night while driving back to Houston after our date, my Chevrolet began to act up. On highway 190 between Woodville and Livingston, the engine died and I coasted to the shoulder of the road. I realized that I was stranded right in the middle of the Alabama and Coushatta Indian Reservation. My only knowledge of Indians was reading about Geronimo and Sitting Bull, and they did not seem to be very hospitable. I was more than a little nervous. After locking my car doors, I dozed off to sleep. Well, all’s well that ends well. I saved up enough money to buy Clara an engagement ring. And the rest is history.